I currently own a 2003 Silverado 1500 LS with the Z71 package. I have almsot 284k miles on it with the 5.3 vortec engine. I have almost had it a year and bought it with 273k. I know it has been taken care of because its very clean, with no sludge in the oil, as well as no metal shavings in the oil and transmission pan when I changed their gaskets/fluids. So far I have changed: - Rear diff gears - Knock sensors - Catalytic converters - Trans fluid and filter - Oil pan gasket - Intermediate steering shaft - A/C system - T-case fluid - Added a Spectre cold air intake - A few other minor things As of now I have a rear main seal leak, as well as a clunk. I have researched the clunk and have come to the conclusion that it is the famous GM slip yoke clunk, so I am not too worried. It it was the trans, I would have likely seen metal shavings in my trans fluid. I am likely going to be fixing my rear main seal leak in a few months. I do all this work myself so it's not too expensive to fix and I kind of enjoy working on it. Basically, I really like my truck and I would like to keep it, but I am wondering how long I should expect from the engine? I'm pretty positive the trans has been changed since it has such high mileage. Let me know what you all think. I currently own a 2003 Silverado 1500 LS with the Z71 package. I have almsot 284k miles on it with the 5.3 vortec engine. I have almost had it a year and bought it with 273k. I know it has been taken care of because its very clean, with no sludge in the oil, as well as no metal shavings in the oil and transmission pan when I changed their gaskets/fluids. So far I have changed: - Rear diff gears - All shocks - Knock sensors - Catalytic converters - Trans fluid and filter - Oil pan gasket - Intermediate steering shaft - A/C system - T-case fluid - Added a Spectre cold air intake - A few other minor things As of now I have a rear main seal leak, as well as a clunk. I have researched the clunk and have come to the conclusion that it is the famous GM slip yoke clunk, so I am not too worried. It it was the trans, I would have likely seen metal shavings in my trans fluid. I am likely going to be fixing my rear main seal leak in a few months. I do all this work myself so it's not too expensive to fix and I kind of enjoy working on it. Basically, I really like my truck and I would like to keep it, but I am wondering how long I should expect from the engine? I'm pretty positive the trans has been changed since it has such high mileage. Let me know what you all think. Here's my new to me CPO 2016 Chevrolet Silverado 1500 5.3/8spd LTZ w/ LTZ Plus Package and Z71 Package. Silver Ice on Jet Black Here are pics the day I picked it up from Lone Star Chevrolet in Houston TX on Feb 28. Mods are going to be the usual and will be listed below Thanks for looking! Hello all. New to the forum and I appreciate any help. So I’m climbing a 10% grade, well maintained dirt road that’s covered in packed snow the other day and suddenly I get the warning ding and a message that says 4 wheel drive off. Rear end breaks loose, traction control stops the climb, and I’m stuck. Truck off and on a couple times, will start shift into 4 wheel drive then does the same thing. Had to chain up to get out. Owners manual says this will happen when the 4 wheel drive system is overheating. I had used it for about 2 minutes and nothing was more than warm to the touch. Can’t find anything online about it. I have no idea where to go from here without going to the dealership and spending all that cash! Any help is much appreciated. 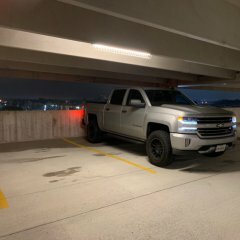 2014 Sierra 1500 Crew, 4.3L 6, 98k. I bought my 2015 4 x 4 Canyon SLT from a Toyota dealership used so I got very little info. Do I have the z82 suspension package since I have the SLT 4x4 because that's what I've been told. does that mean I can tow the 7k lb? can I update the maps or OS in the GMC intellilink system? Keeps giving me traffic warnings for situations years ago and doesn't indicate roads that have been built since 2014. Does anyone have any tips or things look out for possibly any proactive maintenance tips? Have seemed to notice a intermittent slight rough idling issue when stopped at a red light sometimes. I just picked up a 2017 GMC Sierra 2500HD gasser last month. The first time I used the four wheel drive (electronic knob selector), there was a loud whirling noise coming from the front right of the truck. I took it to the shop with 950 miles on it and it has been there for a week. The dealership has new bearings on order and might end up changing out the transfer case if the noise continues. Has anyone else had an issue like this before? Seems crazy being a brand new truck. Hi, have had my 4x4 acting up with no lights on the selector switch and was driving fine in 2wd. Now when starting it up again it was stuck in 4-lo, Dealer had scanned it and said the fault code was coming from the encoder motor wich I will replace tonight. My problem is that I’m told the new motor comes in nuetral, can someone help guide me as how to get the t-case into neutral position??? Hey all, New owner of a 2016 Z71 with 20,000 miles. Had a bunch of snow over the past week (have had the truck for a week) and I basically ran it in 4 high for 5 days straight. About 150 miles. I forgot to turn it off on a dryer day (was -20 out but no snow on the roads) and probably did about 25 miles of city driving. The internet is all over the place in opinions, ranging from you’re probably ok to don’t even drive a mile on dry roads. I was not aggressive, very gentle what with the cold. No fast turns. Still, I’m a bit worried I’ve fouled something up. There was never any popping or grinding, just a bit of whining in turns. I’ve since driven about 100 miles in two wheel with no issues, and just took it out in a field and threw it in 4 high. Did some tight circles both directions and heard no noise at all. Any thoughts? 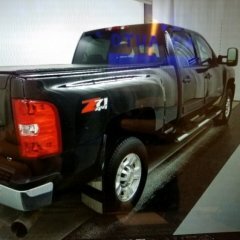 2005 sierra 1500hd or 2005 Silverado 1500hd?? 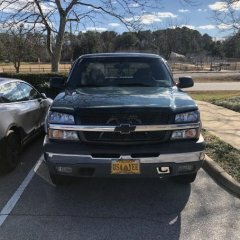 I could really use some advice, I have a 2000 GMC Sierra 4.8l rwd. 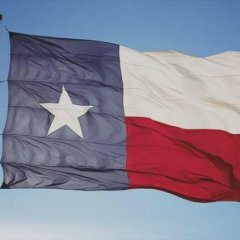 I'm buying a used truck very soon, either a 2005 Silverado 1500hd LS at 135k miles for $10k or a 2005 Sierra 1500hd SLE at 156k miles for $8.5k. They are both stock and same condition exterior. I am looking to put a cam, tune, stage 2 trans, 6in lift and some other goodies in it. I am completely stuck on which one to get, any experiences or advice could really help me. 246 transfer case no power to front wheels 4x4 slip? So when the truck was newer I used 4x4 a few times and it would make almost a metallic grinding noise when turning. I took it into the dealership multiple times trying to get a fix and they kept saying there was no fix. So be it. It works still even with the noise. This truck was always maintained by the dealership until 80k miles. At 72kmiles the check engine light came on almost out of no where and I took it to the dealership to find out the injectors were bad! What the heck! Then andother 8k later the rear differential started leaking oil and I had to replace that. That was fun 4K into a 2015 truck in the same year in repairs that shouldn’t have happened that early in the trucks life. Thennnnnnnnn at 104k the transmission went out!!!! What in the heck! All of these repairs were done in a 9 month period. 10k into a 4 year old truck. I’m very disappointed in this truck. I always kept up on oil changes and most maintenance. I did not flush the transmission at 60 but that still should not have put my transmission out at 100k. I have towed about 4K max behind this truck less then 8 times for no more then a total of 200 miles so I’m not rough on the transmission. I’ve also only had it off-road 1x early on in its life so definitely not had a rough life. Almost 60% of the miles are freeway miles. These problems should not be happening to a Chevy truck. I’m really disappointed. All my ford friends have given me so much Crapp and honestly, I may as well have bought a cheaper not as well designed truck and saved myself about 10-15% on the ford truck. Not sure if there’s any possibility of gettting any of that 10k covered from Chevy but that would really make me think a lot higher of the brand.